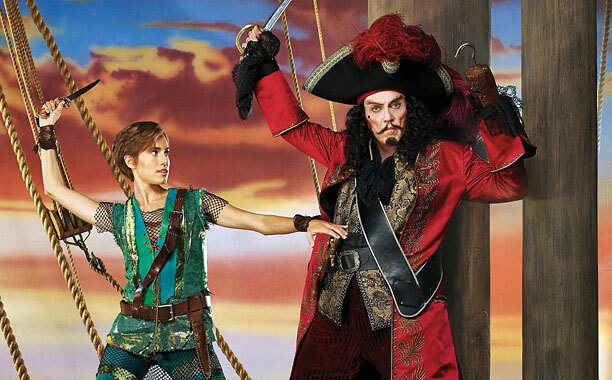 Allison Williams as Peter Pan and Christopher Walken as Captain Hook in “Peter Pan Live!” — the most hate-watched show of the holiday season. Some TV shows have the potential to become generational classics, some won’t make it to next season and some are hate-watched. 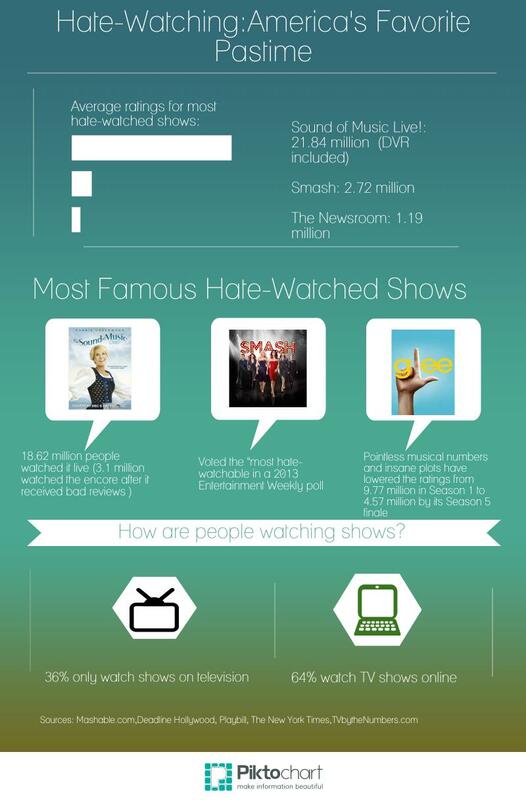 The term “hate-watching” surfaced on the Internet in 2012 after Entertainment Weekly published “The Rise of Hate-Watching: Which TV Shows Do You Love to Despise?” by Darren Franich. In his article, Franich defines hate-watching as “the practice of watching a show that you know is bad, for the specific purpose of enjoying that badness.” However, Franich notes a big difference between hate-watchable and guilty pleasure shows. Generally, people don’t want others knowing they watch guilty pleasure shows. Reality TV falls in the realm of guilty pleasure. “Keeping Up With the Kardashians” and “The Real Housewives” contain little cinematographic innovation. In addition, script development is rarely considered. This gives way to mindless and indulgent TV watching that many people enjoy. On the other hand, a hate-watchable TV show has promise of being good. Often the shows include glossy production or even acclaimed actors. However, somewhere along the line, the show falls short, whether it’s the plot or just an overabundance of unbelievable drama. For instance, “Glee” is often described as a hate-watchable TV show. The overdramatic acting that was once praised is now a source of criticism. The rise in the hate-watching of this show is reflected in its changing ratings. According to TVbytheNumbers.com, the show’s first season held 9.77 million viewers. By its fifth season, the show held only 4.57 million. The sixth, and final, season will be switching to Fridays in an attempt to boost ratings. Mercurio also has a theory on why she and others hate-watch television shows. “Maybe we’re all just really negative people and need somewhere to put our hatred that won’t really have any consequences,” Mercurio admits. The platform of social media to share ideas and jokes about the bad shows has amplified the phenomenon of hate-watching as well. Twitter, in particular, makes this kind of public sharing possible. For example, a Spanish-speaking user on Twitter called @HateWatching tweets about the stupidity in TV. In addition, a simple search of #hate combined with #TV reveals all kinds of results in hate-watching, the majority of participants being high school or college-age. Somehow, even the cheesiest and most dramatic TV shows continue to draw audiences from week to week. For example, “Pretty Little Liars” has a large fan base. In the beginning, the show had some merit through fairly decent acting and a solid plot. However, the plot deviated far from the original story in the book. Now, the drama and the acting seem worse from week to week, and the show is a source of ridicule on the Internet. Nonetheless, the over-the-top show is one that viewers love to hate, and the show has been renewed for two more seasons. Hugo Mantellato, a student studying filmmaking at Ithaca College, finds himself hate-watching from time to time, but for different reasons. He frequently recognizes that some of his favorite shows often lack cinematographic sophistication. Although hate-watching often has negative connotations in just the word alone, Ryan Meara, a history major at Ithaca, finds some value in the practice. He maintains that “hate-watching” is not as harsh as it sounds. Erica Moriarty is a junior majoring in documentary studies and production at Ithaca College. Edited by Lauren Buchanan.